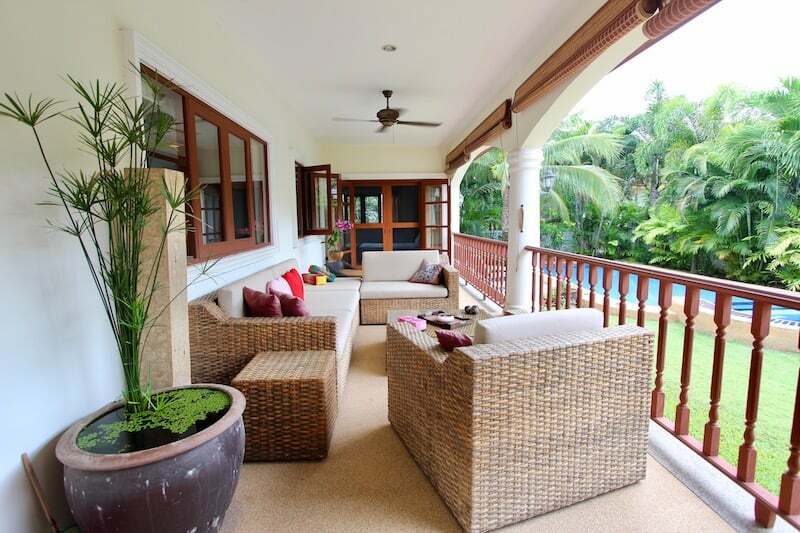 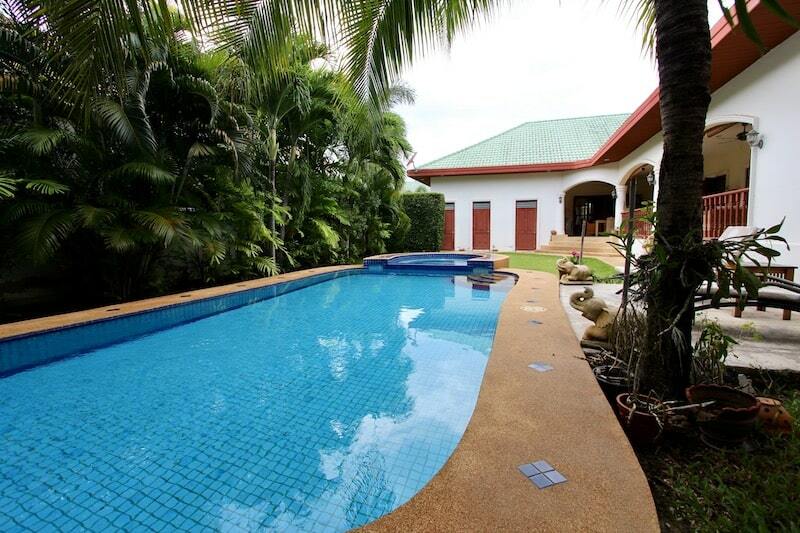 This is a well-built, charming Hua Hin home for sale in Kao Tao, within a private, completed development. 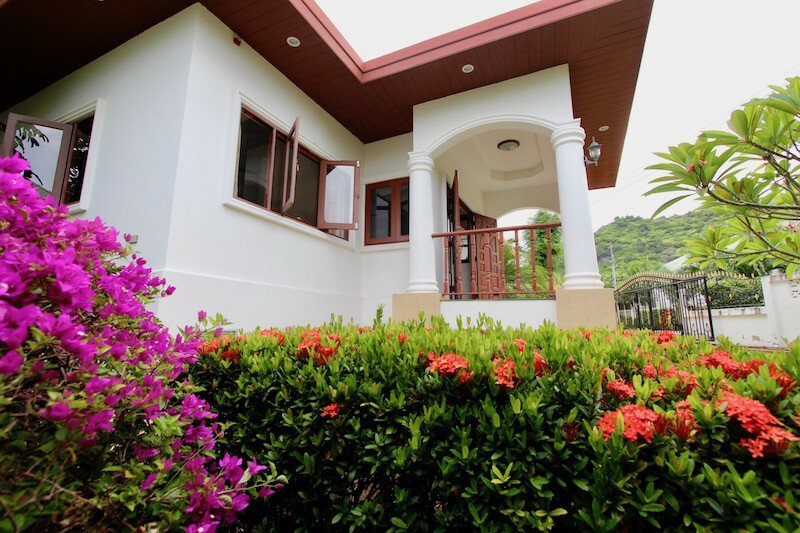 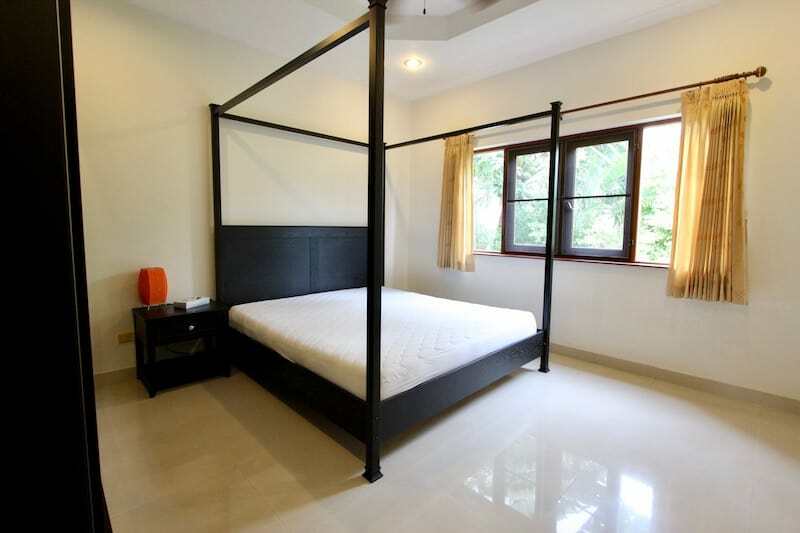 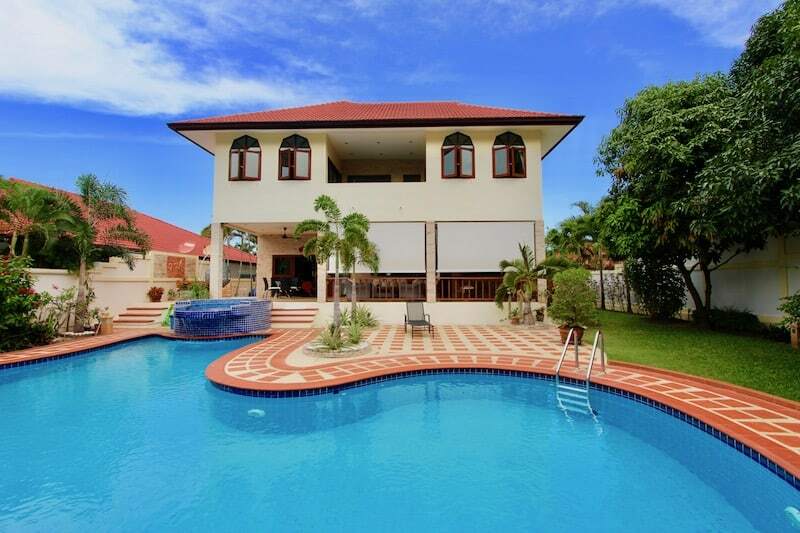 Less than 10 minutes to central Hua Hin and only 5 minutes to the beautiful Kao Tao beaches, this is a perfectly located Hua Hin home for sale. 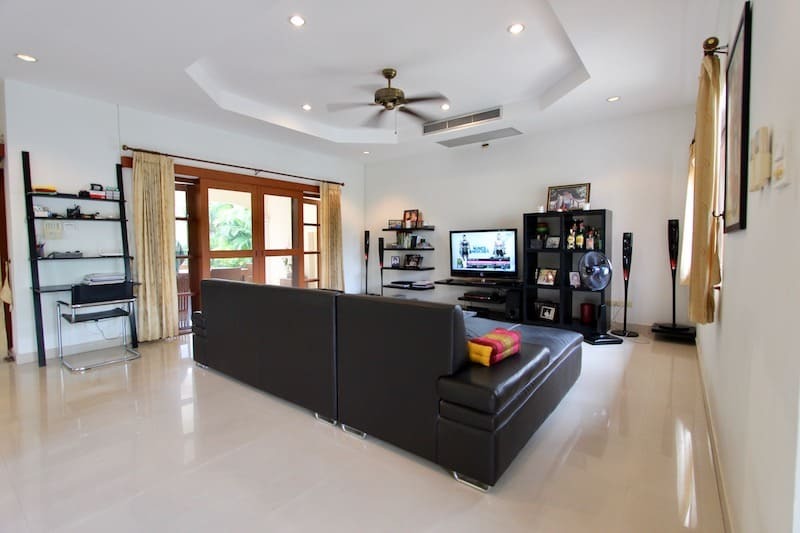 The property is within a popular, well-established and completed development of similar, high quality homes. 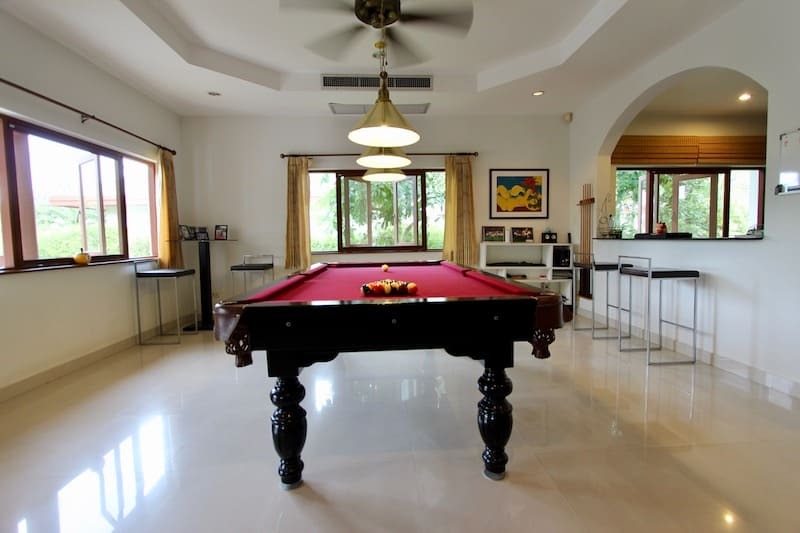 This house has 3 spacious bedrooms, a large lounge which also has a pool table, a fully equipped kitchen, and a covered terrace. 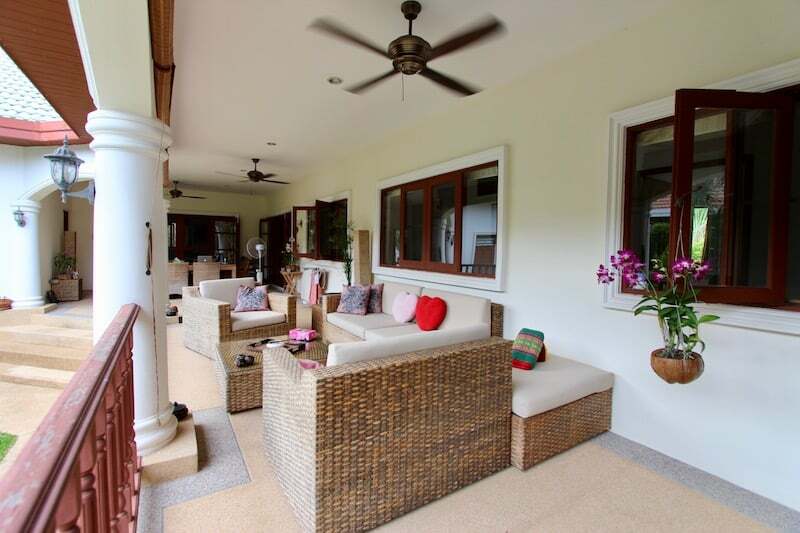 The living room is large and well furnished with direct access to the covered terrace, which has ample space for dining as well as a lounge set. 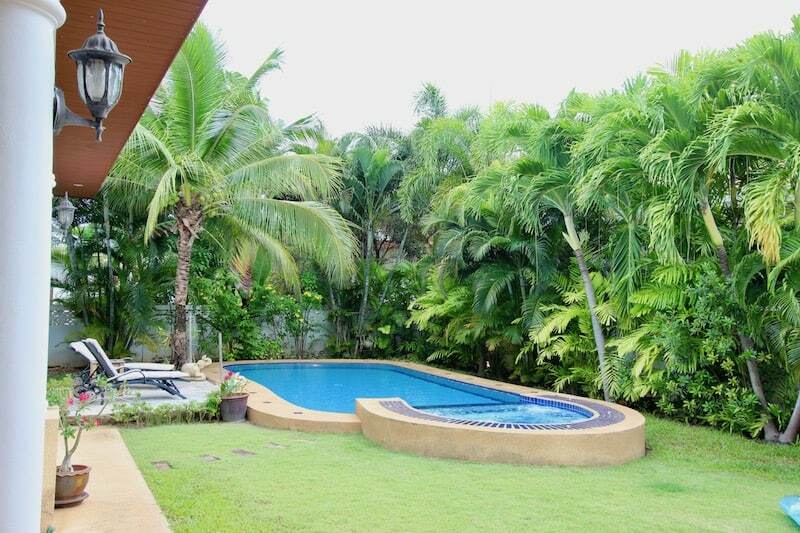 The terrace overlooks the beautiful, lush tropical garden and the 8 x 4 swimming pool plus jacuzzi. 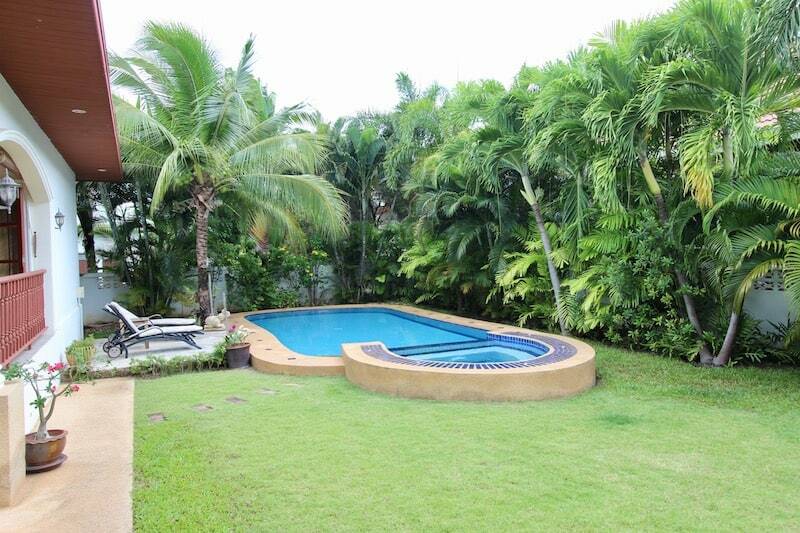 There are sun beds for lounging by the pool and soaking up the rays, and a small lawn for kids or furry friends to run around. 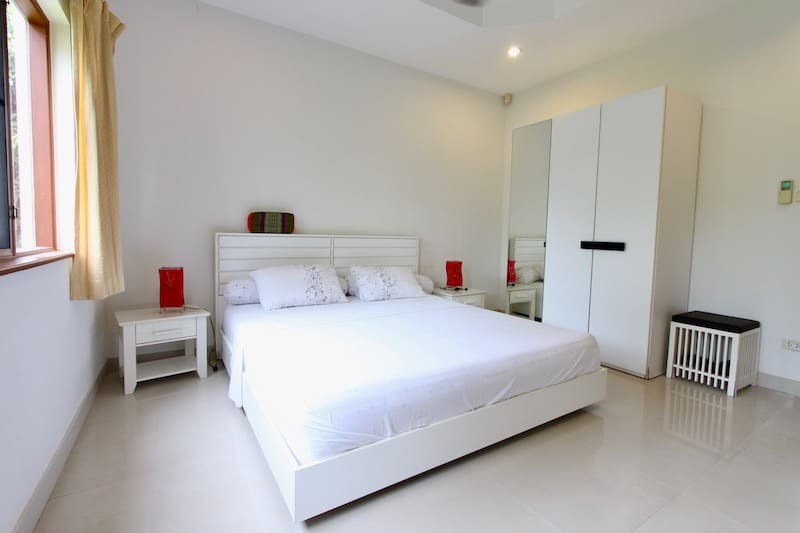 The kitchen has all high quality appliances, including Electrolux stove and oven, a double Hitachi fridge/freezer, a Philips dishwasher and Franke hood. 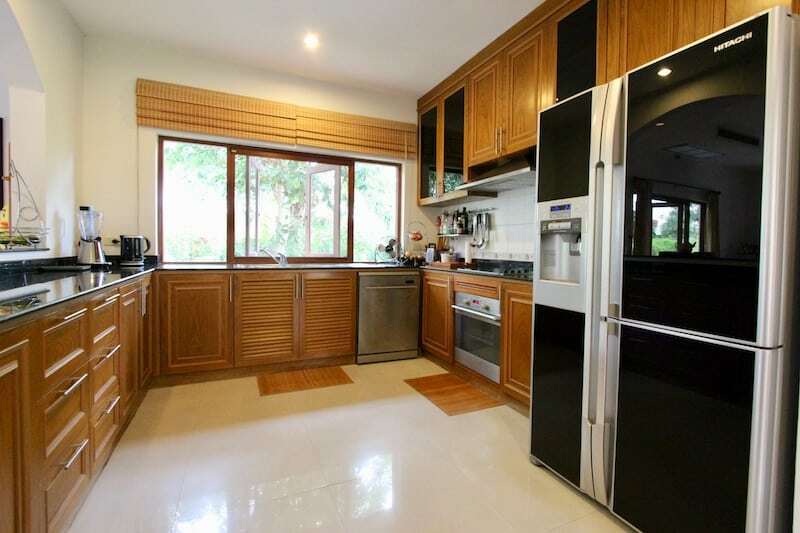 The cupboards are solid wood and the countertops are all granite with a lot of work space and storage. 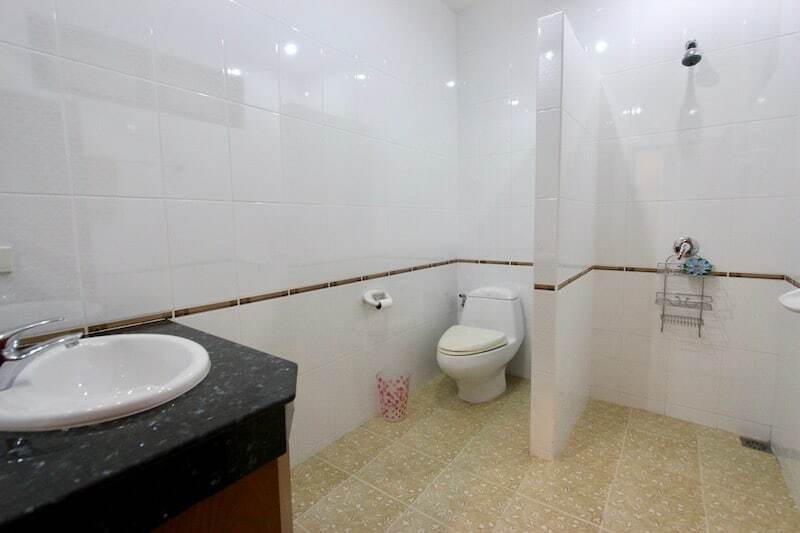 There is an additional laundry/utility room outside for extra storage and convenience. 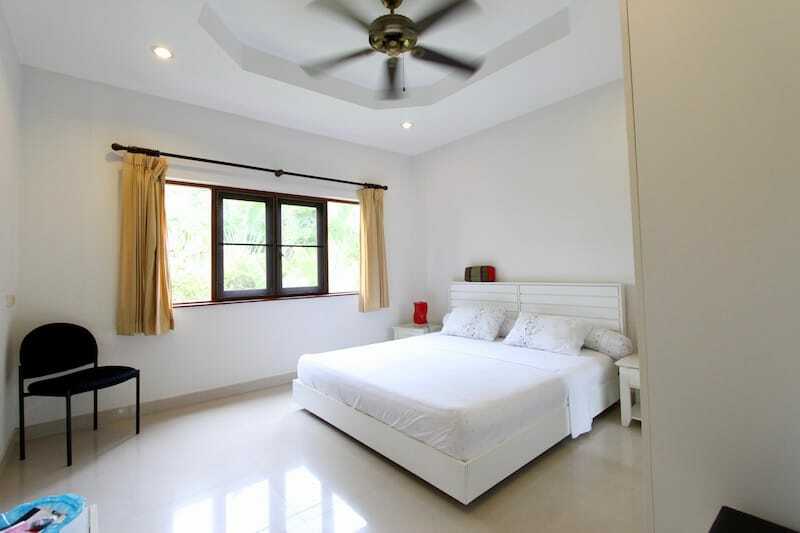 The large master bedroom has direct access to the covered terrace with a view of the swimming pool and gardens. 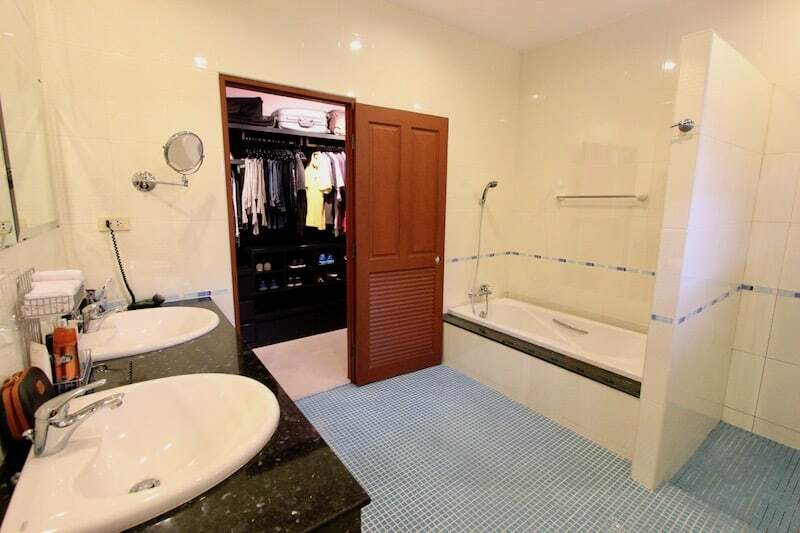 There is also a walk-in wardrobe and a full bathroom with shower and bathtub. 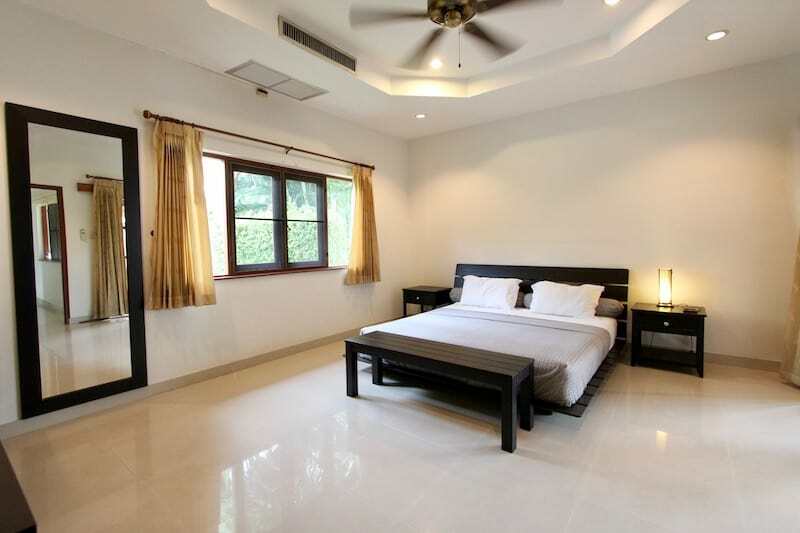 The 2 guest bedrooms each have en-suite bathrooms and full furnishings. 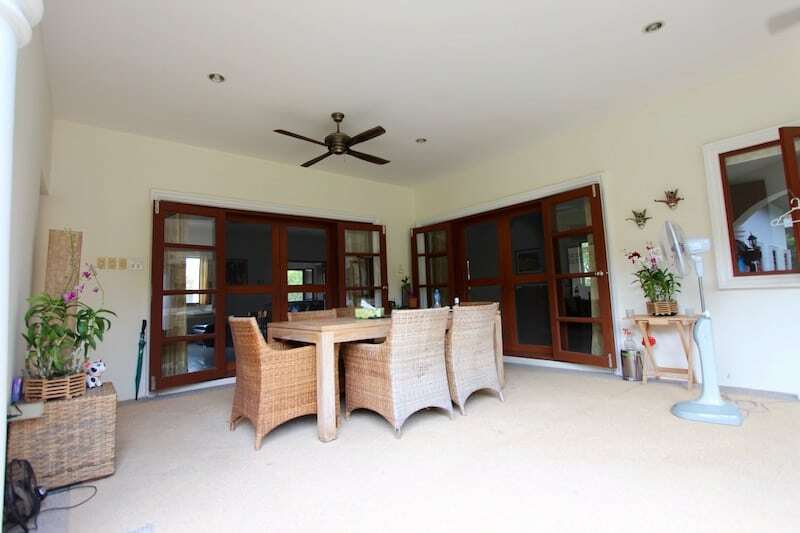 There are wood sliding doors and windows throughout, all with fly screens. 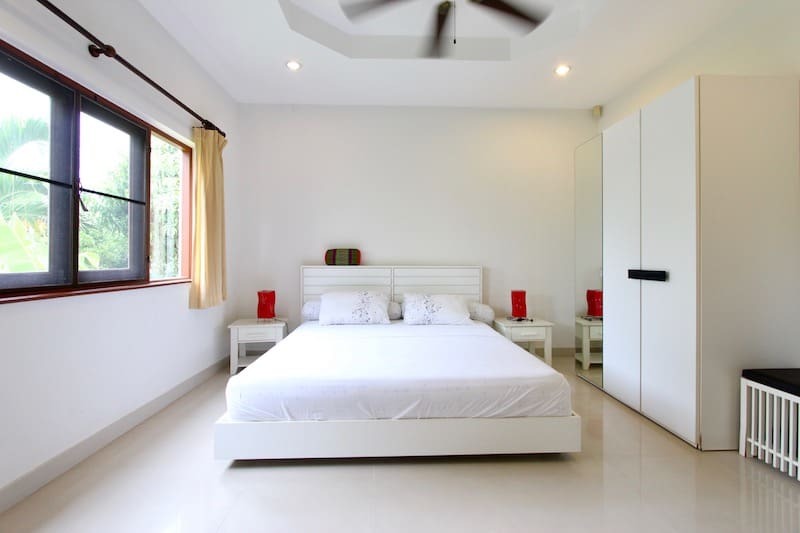 Each room is equipped with a ceiling fan for added comfort, and each room has air conditioning. 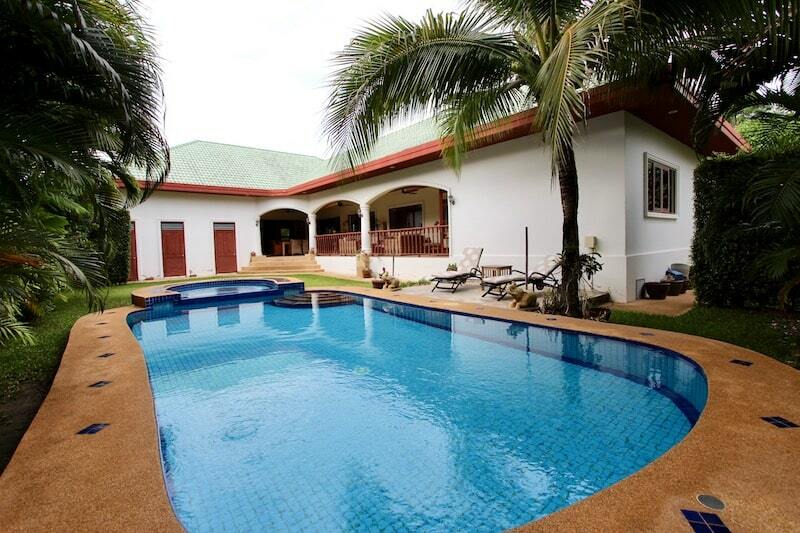 There is a double carport with separate entrance, perfect for bringing in groceries or avoiding the rain. 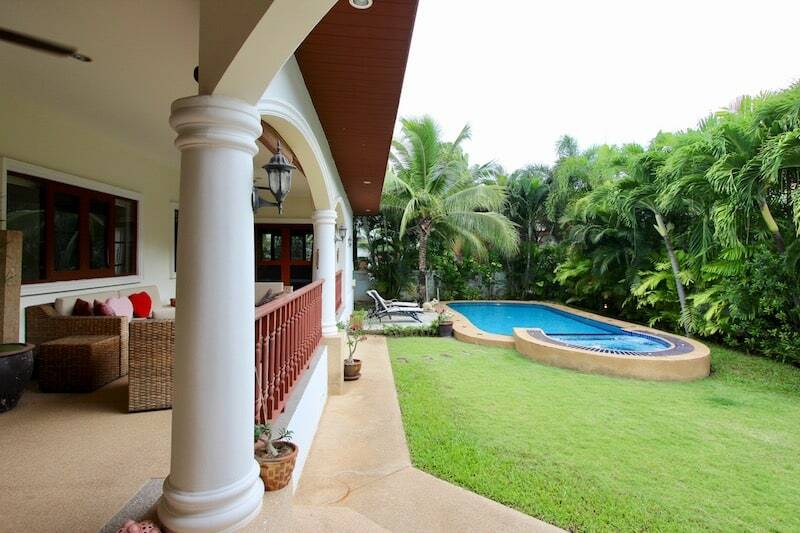 The home has a motorized entrance gate and privacy wall, and the development has 24 hour security.